As commuters switch from Oyster cards to contactless payment on London’s transport services, some people are getting upset about fares. The Independent reports those who still use Oyster cards could be paying up to £91 more per week than those using their debit or credit cards to touch in and out. It says London Assembly Labour party analysis suggests passengers using pay-as-you-go (PAYG) Oyster cards might be getting ripped off because contactless payment is capped weekly, but PAYG is only capped daily. London’s Oyster card system works in zones (1-9). The farther you travel, the more expensive the fare. Peak and off-peak times also have an effect on prices. Its prime example involves travelling in zones 4 to 7 during peak hours, where using pay-as-you-go would incur a £121.40 total payment. The same usage on a contactless card equates to £29.40 because of the weekly top-limit system. This contradicts the prevailing belief that using Oyster cards are always cheapest compared to other payment methods. London Assembly Member Val Shawcross says the figures raise questions over May of London Boris Johnson’s past assurance that using Oyster cards would always be cheapest. She says Boris should have updated the technology when contactless payment was brought in to also allow weekly capping on Oyster cards, so people who don’t have access to a contactless card aren’t getting slammed with extra costs. 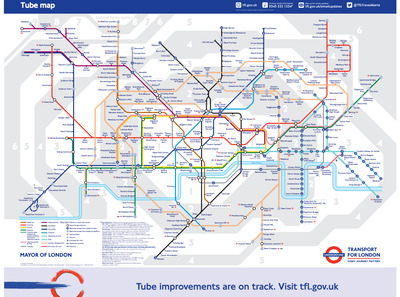 TfL tells us that it is looking into introducing weekly technology to PAYG Oyster cards and advises using its online chart to work out alternative options if there are concerns about spending over the odds. 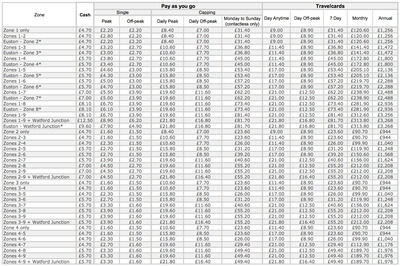 The cheapest plan requires working out how much you use the Tube, take the bus, or hop on the train, and then looking at the cost of a monthly travelcard and dividing it by the number of journeys you take within that period; if the price is less than your daily figure, it’s time to change method. It gets a bit more complicated when looking at weekly travel. For passengers who only take two rides a day, under the daily cap, it’s likely they wouldn’t benefit from buying a weekly travelcard, so they should remain using PAYG — and it’s them who aren’t reaping the rewards of using a capped contactless card to get from A to B. Ultimately, commuters who travel Monday to Friday, and sometimes at the weekend or perhaps to a couple of meetings throughout the week, the cheapest option is nearly always a monthly plan on Oyster or weekly on a contactless payment card. TfL says it’s looking into implementing a cap on contactless cards too, which would simplify matters. But use PAYG Oyster cards and you need to make sure you really are sticking to you set schedule — a trip to the pub or a sojourn to Hamstead Heath could leave you out of pocket without contactless. 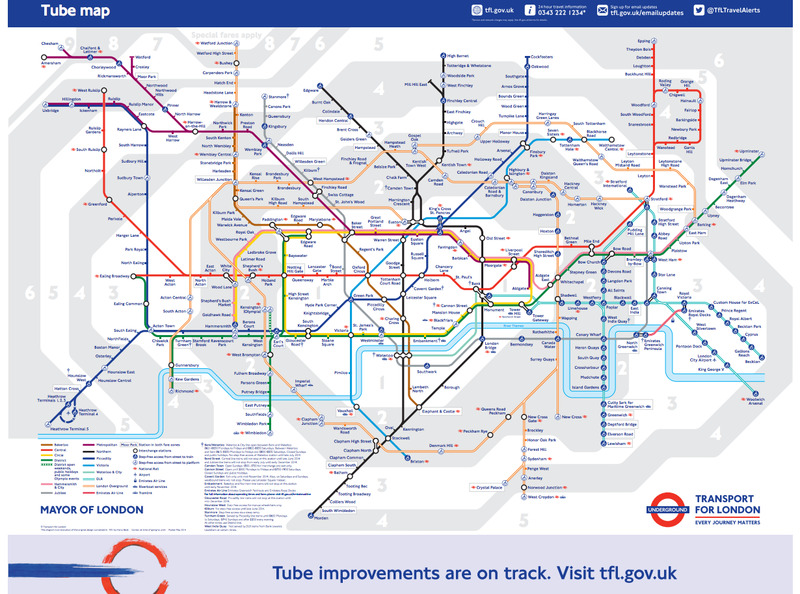 Although TfL says figures by London Assembly Labour claiming just 27% of Londoners use the new card technology is incorrect, claiming it’s actually 57%, the capital’s pricing seems unfair to some, and overly complex. Like the New York Subway system, a flat rate for all is probably a much easier way of doing things. 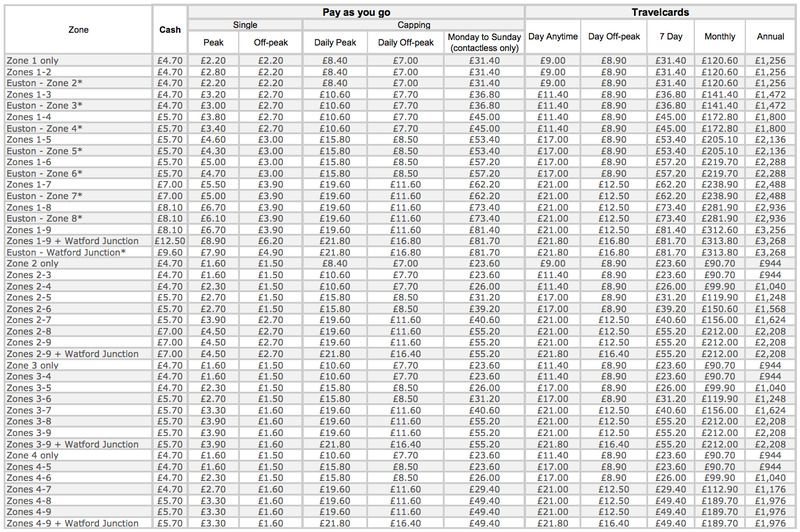 We worked out how much it would be in London, dividing last year’s total number of journeys by total fare revenue. It works out at just over £1 per journey.